Tiny files for divorce from rapper T.I. What Makes a Woman “Wifey” Material? So often on social media, I see men and women debate what it means to be “wifey material”. Who wrote the set of rules that determines whether or not a woman fits the mold of what a wife should be. It is 2016 right? Women are taught that if they don’t dress or act a certain way, then they will not get a decent husband. Society places unnecessary pressure for us to find a husband and get married but, not without looking and acting a certain way. It is no secret that NBA player Steph Curry’s wife, Ayesha Curry, is put on a pedestal for men and is considered the ideal “goal”when it comes to marriage. From a public standpoint, Ayesha fits the mold of a conservative wife; but where is the issue with a married woman like Kim Kardashian also coexisting. Who says that getting you an “Ayesha Curry” is going to solve all of your problems when it comes to a relationship; she’s not an antidote. 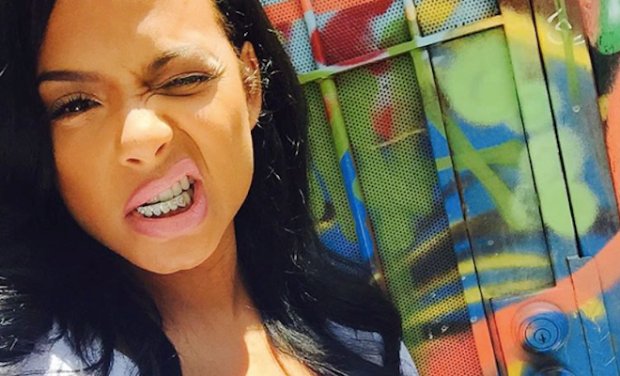 Christina Milian and Lil Wayne Break Up: Why Do Beautiful Women Date Horrible Men? Christina Milian and Lil Wayne recently ended their relationship that lasted over a year, due to cheating on Lil Wayne’s part. I’m not sure about you all but, I am not surprised! Lil Wayne has a history of baby mamas and side chicks that would send most women running in the opposite direction, however, he somehow has the ability to romance many into believing that he is the “one”. We are pretty sure everyone has gone through the breakup process. You breakup with your significant other and think to yourself, “Is there something that I did wrong or could have done better”? Watch our video below on how to get over a breakup and back to your old self. We know that it can be difficult and a little lonely but it does get better.